Patty Thierry Sheridan, president of the Chicago-based health information management consulting and staffing firm Care Communications, has been elected president-elect of the American Health Information Management Association and will assume that post Jan. 1, 2011. 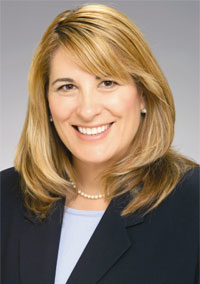 Before being promoted to president of Care Communications in 2004, Sheridan, 49, held the positions of vice president of operations and chief information officer. She has served on the AHIMA board of directors from 2007 to 2009 and was the association's chief operating officer in 1993, acting executive director in 1994 and vice president of professional development from 1995 to 1998, according to a news release. "Performing volunteer work for AHIMA is a value I hold deeply," Sheridan said in the release. "Serving as the AHIMA president will be a professionally rewarding experience, a chance to give back to the profession that has given so much to me and an opportunity to utilize my training, experience and background in a way that helps to advance the health information management profession." AHIMA reports that 4,633 votes were cast between June 7 and June 25. In addition to Sheridan's election, Jill Burrington-Brown, Kathy Giannangelo, and C. Jeanne Solberg won seats on the board of directors. Rita Bowen, the enterprise director of HIM services for the Erlanger Health System, Chattanooga, Tenn., is the current AHIMA president.